Thank You For Helping Us Collect & Clean Over 100 Scout Uniforms! 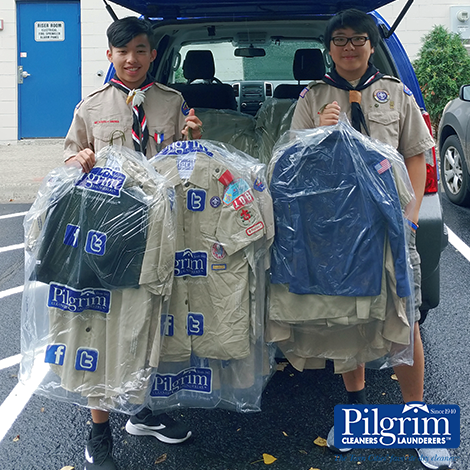 Thank you to the Northern Star Council for teaming up for our 11th annual Scouting For Uniforms drive! We collected & cleaned over 100 uniforms this July! As the Scouts welcome girls into their troops we were happy to be able to provide additional uniforms for their growing need. Our drive is annual and happens every year in July. We encourage everyone to pass along their uniforms for donation and to keep the memories! An App For Your Laundry!